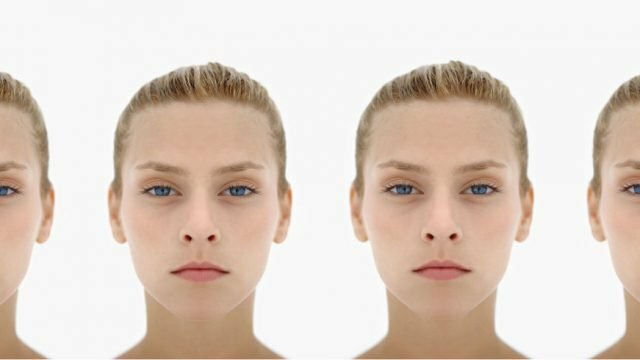 If you could clone yourself, would you do it? In a few years’ time, this may be a choice you are able to make. Just last week, Chinese scientists announced they had successfully cloned a pair of macaque monkeys. These primates’ genes have much more in common with humans that those of Dolly the Sheep, and the feat has sparked many editorials fearing it is only a matter of time before we have the ability to clone humans. While the Chinese scientists said they had no intention of cloning humans, and the UN is officially opposed to human cloning, it seems naïve to think that there won’t be one jurisdiction that eventually capitalises on the market potential of such technology. A small island nation, for example, may jump at the chance to be the world’s go-to human cloning destination. So, let’s just assume for a minute that it does happen. While many people associate human cloning with dystopian images of organ harvesting and slaves, the reality, I believe, will be far more mundane. People will simply clone themselves to raise as their children. Imagine it. The family portrait of the future could very well contain the same person replicated four different times, at different stages of their life. There would be the “original” and their flock of clones, each one only slightly different to the next. Pregnancy would likely be less of a mystery, as there would be no guessing what your child would look like when they popped out, no hoping that they wouldn’t inherit your big nose. Rather, you would give birth to a baby that looked exactly the same as you did when you were born. You would then be able to watch it grow as you did – teeth coming through at the exact week yours did, the kid starting to walk as you did, and later going through puberty as you unfortunately did. Of course, parents with “original” kids do that now, but the difference is that clones would pan out exactly as their forebear. The parent would essentially be viewing themselves a child, an interesting phenomenon. You might not remember what you looked like as a 1-year-old, for example, but now you could see yourself in the flesh. It would essentially be an exercise of the self, you’d be able to witness your ageing all over again. Then again, that might not be a good thing! Your preconceptions of yourself as an adorable, cute little bub might come crashing down. Instead, that memory of being a bald 3-year-old feeling very self-conscious at your ballet production may be relived. For some people, this isn’t such a strange concept. We all know someone whose kids look very similar to them and has the same allergies and the like, so perhaps having a clone wouldn’t be too different. I think the more interesting aspect to consider is the personality of the clone(s). Would they turn out exactly the same as their original, or retain a sense of individuality? This takes us back to the old philosophical argument about whether or not we are born with a personality or “soul”, and how much of our personality is innate versus drawn from experience. People prone to self-loathing or narcissism shouldn’t have clones. Plus how would the world evolve if we all just cloned ourselves ad nauseam? Seems less likely the world would produce Julia Gillards, Mozarts, Einsteins, if we’re just cloning ourselves. Few would argue that our experiences shape our thoughts and emotional responses, and yet I also believe that we are born with a personality. Or at the very least, we are inclined towards certain temperaments and features, which our genes surely play a part in. And if our clones did turn out to have very similar personalities to us, it could prove hard not to become a pushy, overbearing parent. When your clone is begging to join the fire brigade, for example, you would know that they would eventually tire of this. How you could you reasonably be expected to humour them? “I understand you want to save lives right now but in a couple of years you’ll get over this hero complex and be happy to work as an accountant,” you explain. “Don’t tell me what to do, I’m my own person!” they reply. “No, you are not,” you shoot back, in a moment of anger. Or what if the clone turns out to be a genius, with a quick-wittedness and creativity you never managed? It could be difficult not to compare yourself to your smarter protégé and feel a pang of jealousy. And people who are prone to self-loathing or narcissism surely shouldn’t have clones. That would be a recipe for disaster. Plus how would the world evolve if we all just cloned ourselves ad nauseam? It seems less likely the world would produce Julia Gillards, Mozarts, Einsteins, if we’re just cloning ourselves. We admire beautiful and highly intelligent people due to their uniqueness, the fact they bring a spark of originality of thought or looks that the world has never seen before. Do we risk losing this if we stop shaking up new cocktails of genes? Would clones be fine wines that age better with each generation, or musty grapes that simply sour? I have a feeling I know what the answer would be with my genes! But perhaps that isn’t the case with everyone. Some people’s clones may simply be better educated, more advanced versions of their originals. They would surely be influenced by the wider social context in which they live and their various experiences. This could be the way of the future – what do you think?